“This is the way the world ends,” T.S. Eliot wrote in his poem The Hollow Men. “Not with a bang but a whimper.” Surely, though, the same fate should not befall The Twilight Zone? Alas. 50 years ago today, on June 19, 1964, the last episode of the fifth season aired: “The Bewitchin’ Pool.” Even fans of this episode (and my most recent post showed that I’m not one) wouldn’t call this one a bang. Sorry, but this was no way for Rod Serling’s ground-breaking foray into the fifth dimension to conclude. But that’s the thing: It wasn’t supposed to end at that point. At least not as far as Serling was concerned. He’d already been mapping out plans for a sixth season, and I can’t help but feel that the way he talked about it suggested an awareness that TZ needed a return to form of sorts after an interesting but uneven Season 5. In line with the emphasis on space, he planned to do considerably more extra-terrestrial stuff — stories that took place on other planets. Not the “scaly monster business,” but some credible suspense items that Serling favored with extreme intensity. Serling also explained that he received a rundown of several story properties never before available. … [He] felt positive that the new season would offer more excitement and a “new flavor.” He sent his proposal to Mike Dan of CBS Television for review. I find it impossible to read that passage without mourning what might have been. It certainly challenges the conventional view of Serling as running out of gas as Season 5 unfolded. Yes, he admitted as much, saying that he’d written so much for so long that his perspective was shot. Season 5 did have its weak spots. But Serling was also notoriously hard on himself. 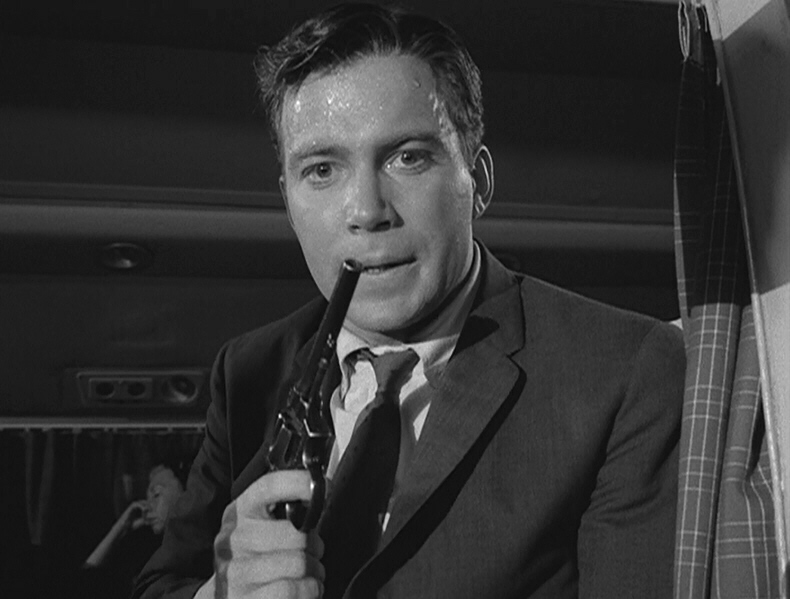 And the fact remains that Season 5 still showcased some excellent writing, from Serling’s “The Masks” and “I Am The Night — Color Me Black“, to Charles Beaumont’s “Living Doll” and “Number 12 Looks Just Like You”, to Richard Matheson’s immortal “Nightmare at 20,000 Feet“. And it’s clear from the passage quoted above that Serling was determined to focus his fertile imagination and unique writing talents on some fascinating new story ideas for TZ. How any TV executive could review his proposal and veto it — especially in light of all he had already accomplished for five seasons — passes belief. In “The Bewitchin’ Pool,” Sport and Jeb discover a welcome escape, a “never-never land” in Serling’s words, where they can play and eat and run, far from bickering parents. Surveying the vast wasteland that comprises most television past and present, it’s hard not to wish that we could dive into a pool that connects to a land where Season 6 of The Twilight Zone is real. Sport and Jeb, Serling tells us, “found a secret place … in the Twilight Zone.” Would that we could join them. Photos courtesy of Wendy Brydge. For a daily dose of Serling, you can follow me on Twitter, Facebook or Pinterest. You can also get email notifications of future posts by entering your address under “Follow S&S Via Email” on the upper left-hand side of this post. WordPress followers, just hit “follow” at the top of the page. Posted on 06/19/2014, in Twilight Zone and tagged Charles Beaumont, Richard Matheson, Rod Serling, The Bewitchin' Pool, Twilight Zone. Bookmark the permalink. 40 Comments. Like you, I’m not a “fan” of “The Bewitchin’ Pool”. In fact, it’s my least favourite episode. I was always disappointed that it was what closed out our beloved program, and now I’m even more disappointed that I’ve heard some of Serling’s ideas for a sixth season. Wow. What a season that would have been. Everything described here in your post sounds like we’d have been in for the most amazing adventure imaginable. It’s such a shame that it never came to fruition. Just think of what we missed out on. I can well believe that Serling was worn out. But I think he was in prime position to make the season to end all seasons. By this time, Serling had already touched on such a wide variety of story types. We had the highs of seasons 1 and 2, and the low points of season 4 (primarily a format that just didn’t suit this type of show), and he was poised to dip his pen deep into every dark crevice that the Fifth Dimension had left. And you know what they say? Location, location, location! 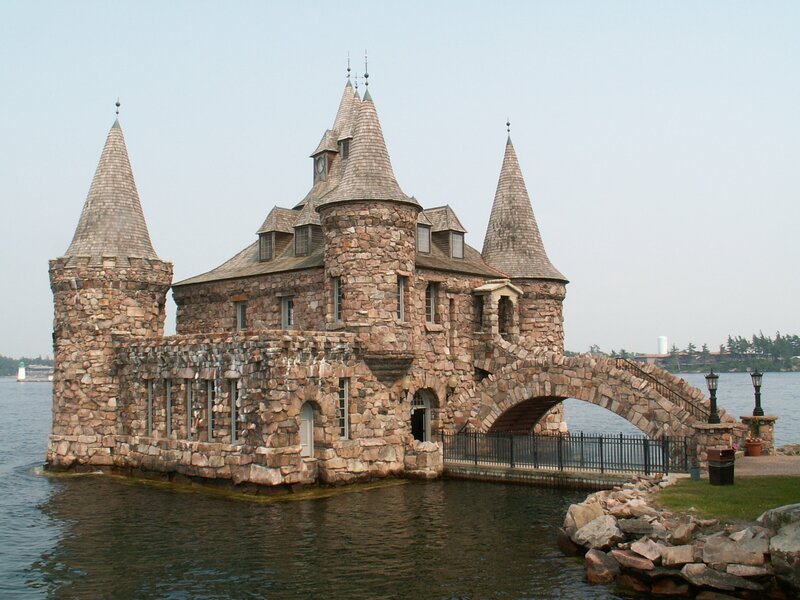 Boldt Castle? TZ is well known for its gorgeous visuals, and this shooting location would have yielded some memorable top-notch performances, I’m sure. But, like so many things in life, it just wasn’t meant to be. 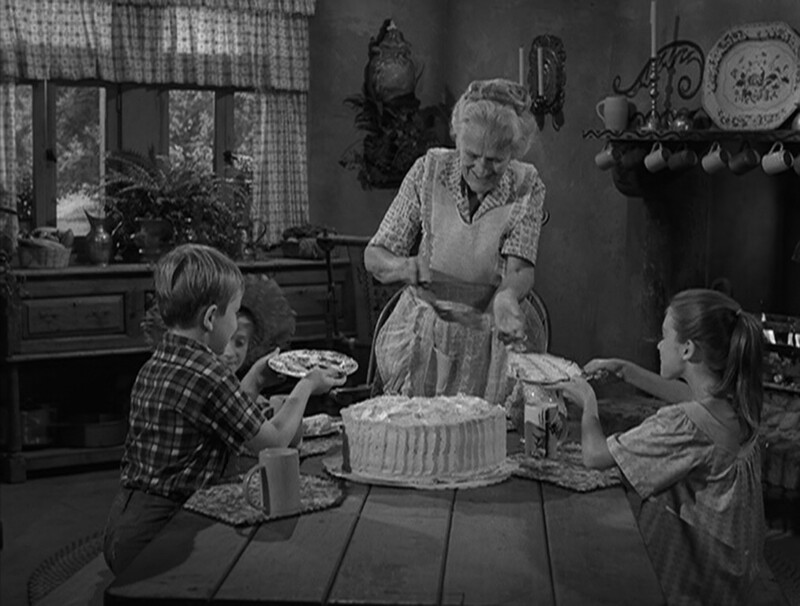 We’ll forever mourn the lost 6th season of TZ, but there’s no denying this simple fact: 50 years later, The Twilight Zone is still going strong. It’s as relevant today as it ever was five decades ago. And Serling’s season one opening narration now seems a bit prophetic. What better way to describe this ground-breaking series than to say its appeal is as “vast as space and as timeless as infinity”. Very glad you enjoyed this post so much. Talk about a case of “what might have been.” I remember when I first read about Serling’s plans for Season 6. I felt like I was hearing about this amazing Christmas gift that I ALMOST got one year, but that somehow didn’t work out. I honestly feel ripped off every time I read about it! But I still wanted to share the information. Not so much to advertise my frustration as to (as you touch on here in your comment) challenge the notion that Serling was out of ideas at the end of TZ’s run. Prior to this, all I could point to was his best work on Night Gallery. But that came several years later, when one could argue that his batteries were recharged, so to speak. To realize that even as TZ was still going he had a number of specific ideas he was excited to try? To see how detailed and interesting they were? It really underscores what a unique talent he was. I’m the best? What a coincidence. I think YOU’RE the best! ;) And two likes? What an honor! Is there more information on this?? Were these just pitches that never got fleshed out? Perhaps there are treatments or even early drafts locked away somewhere. Hmm, well, that scenario starts to sound like a potential TZ episode. Whatever lost treasure of television’s golden age lurks hidden, early drafts of shows for Season 6 of The Twilight Zone would have to rank at the top. Agreed! And yes, these are pitches that never were fleshed out beyond this. I can’t swear that Serling never started a few drafts, but if he did, they’re locked away from public view. But even if they never moved beyond the concept phases, what a lost treasure they are indeed! Absolutely. Thanks for the reply! I’m a huge fan of TZ, but “The Bewitchin’ Pool” was a stinker. I can overlook that because on the whole, it was a fantastic show. Yes, and a fantastic show deserves a fantastic ending. Too bad it was denied that. Well, I hope you don’t mind my criticisms of it! I did like Earl Hamner’s work on TZ overall, though, and I DO feel that this episode was an interesting idea. My problem is mainly with the execution. Thanks for stopping by and leaving a comment! Not at all… I think you were being very fair about it. Cheers ! Yes, it really makes you wonder! The 6th seasons sounds like it would have been fantastic. I think the fact that he was hard on himself helped keep the show good. If you think of all the episodes, there’s really only a few bad ones and not everybody even agrees that they are bad. It would have been very easy for TW to have only lasted 3 seasons. It took a lot of work to get enough for a holiday marathon. Thanks for writing about this, I don’t recall reading about it before. If it was in his daughter’s book, I missed it. Good point, Dan. I’ve always felt bad that Serling was hard on himself, but I’m sure it helped him maintain that level of excellence. And you’re right about TZ almost lasting three seasons. It technically did end then, before coming back as an hour-long show, then returning to a half-hour. Glad you enjoyed the post! I don’t think I realized those were all in the 5th season before. Yeah, the 6th would have been amazing I bet. The 5th season actually stacks up well, when you look at it on an episode-by-episode basis. A shame it had to end there, though. I was under the impression that the Boldt Castle location was for the ROD SERLING’S WAX MUSEUM concept rather than a six season of TZ. I didn’t think Serling wanted more of the Zone, even though ABC supposedly expressed interest. I could be mistaken about that, so please advise. You’re correct. Serling did attempt to use the Boldt castle setting for his Wax Museum concept, but only after it went unused for TZ S6. And it still didn’t fly even then! Clearly Serling and Boldt castle weren’t meant to be. He was incredibly prolific and it would have been great if the show had continued for one more season since he had the material but I guess we’ll just have to be happy with all the episodes we do have to watch. Really interesting post!! Agreed! 156 episodes is nothing to sneeze at. It could have been far less if Fate had been a bit crueler, so yes, let us be grateful for what we DID get. Thanks for the comment! I too am a big TZ fan, and while I agree that “The Bewitchin’ Pool” stinks, I still watch it because of Georgia Simmons’s character. Actually, there are many episodes of the series I never liked much. To this day, when I watch reruns of the series, I don’t get too excited when certain episodes are shown. ”Showdown with Rance Mcgrew”, for example, or any of the Western or war-oriented episodes. I do like at least two of the video-shot episodes, ”22″ and “The Lateness of the Hour”, though I can’t quite get used to the video effect. I still believe it was a truly groundbreaking series and the most important and influential of its era. Some of the episodes are even used for educational purposes, like “Eye of the Beholder” and “The Monsters are Due on Maple Street” and even “Number 12 Looks Just Like You”. I know what you mean. No series is perfect, and TZ had some clunkers, obviously, but as you go on to point out, it secured a place in TV history by airing some true classics — and among them, yes, are episodes that continue to resonate and teach us to this day. If it makes anyone feel better “Come Wander with Me” was the last episode they SHOT and I consider that an all timer. Top 20 or so on my Top list that I refuse to actually make! You should do that list one of these days! Yes, but according to “The Twilight Zone Companion,” the last episode might have been “An Occurrence at Owl Creek Bridge” — an unrelated film from France that was re-packaged as an episode of Twilight Zone, re IMDb. The TZ Companion doesn’t list episodes in broadcast order. Many years ago, I made the same assumption you did — that Owl Creek was the last TZ to air because Zicree put it at the end — but that’s incorrect. Owl Creek was the 22nd of 36 episodes to air that season. The beginning of every love is always sweet, when the love birds found themselves and can’t do without each other, it’s always wonderful and beautiful when “IT’S YOU ALONE I SEE IN ALL MY DREAMS” becomes what I whisper to her. When I cant sleep without her, tell me what your opinion is about true love!